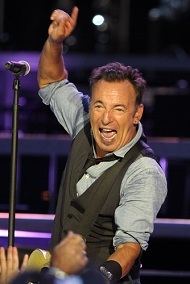 Bruce Springsteen was born to turn 65 on Sept. 23, 2014. Ahead of the big day, New Jersey’s Monmouth University is hosting an all-day celebration and examination of the singer-songwriter’s catalog and influence. 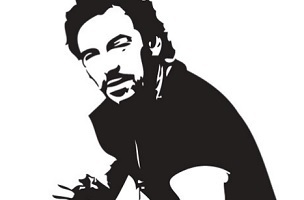 – Jamez Chang, Jen Conley, Mark Krajnak, James Petersen and Chuck Regan, contributors to the forthcoming Trouble in the Heartland: Crime Fiction Inspired by the Songs of Bruce Springsteen. Panel moderators will include Tom Cunningham, host of 105.7 WCHR-FM’s weekly program The Bruce Brunch. There will also be performances of Springsteen songs by Monmouth students and members of Asbury Park’s Lakehouse Music Academy. Tickets for the all-day West Long Branch event are $10, with proceeds benefiting the aforementioned Friends group.